Dr. Hansen earned his medical degree from the University of Utah School of Medicine and completed a residency in General Surgery at Truman Medical Center in Kansas City, Missouri. 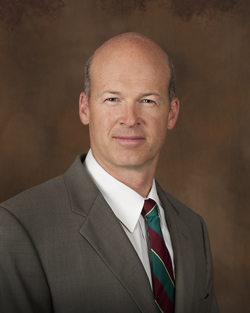 Dr. Hansen is certified by the American Board of Surgery and is a member of the American Medical Association, the Utah Medical Association and the Salt Lake Medical Association. He is a Fellow of the American College of Surgeons (F.A.C.S. ), and a member of the American Society for Metabolic and Bariatric Surgery (A.S.M.B.S.). He has served as the Chairman of the Department of Surgery at Alta View Hospital. Dr. Hansen is married and has four children. Dr. Hansen performs a broad range of general surgical procedures including advanced Laparoscopic procedures. He is a Center of Excellence surgeon for the LAP-BAND procedure. This credential is given to surgeons who maintain the highest standards for bariatric patient care. With over eight years of experience and over 800 LAP-BAND procedures combined with ongoing advanced training and techniques patients have the best chance for excellent results. He also participates in research. He is one of the leading contributors to a national outcome study of the newest Allergan AP Band. He has also organized and instituted a research study on resolution for type II diabetic LAP-BAND patients with a BMI of 30-35 which is ongoing for patients who qualify. Mission statement: Provide excellent compassionate care and education for the highest potential improvement of health. For an appointment call 801-523-6177 or 801-Surgery (801-787-4379). You can register online here. For LAP-BAND patients click here.